When we hear the word ‘hero,’ we might not automatically think of an 87 year-old woman. But, in real life, that’s exactly what they can look like. 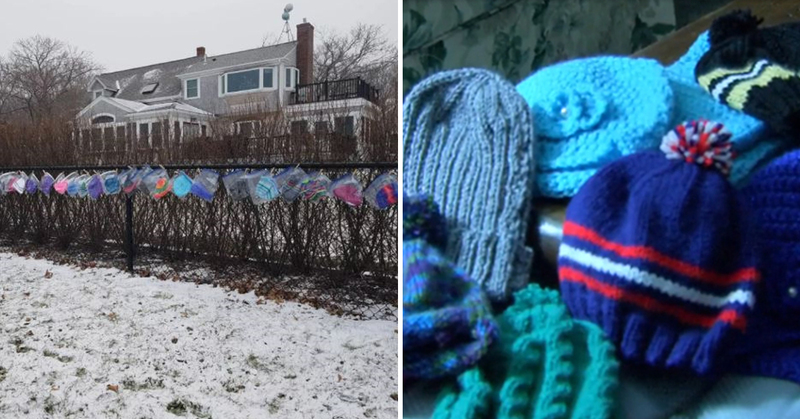 A kind-hearted woman in Massachusetts has become a hero in her local community after knitting a total of 75 wooly hats, in order to keep the local children warm through the cold winter months. 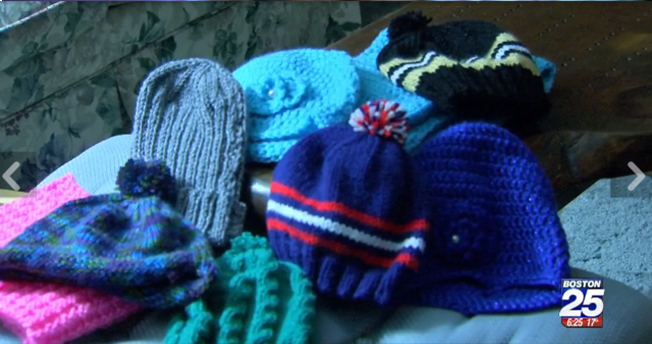 The woman, who wanted to remain anonymous, offered help to those who were struggling with the cold by putting her knitting skills to use, and the local community could not be any more thankful. This wasn’t any kind of half-assed job either. Each of the hats she made took her a full day to complete, and she started knitting even before the cold weather of the Winter season arrived. 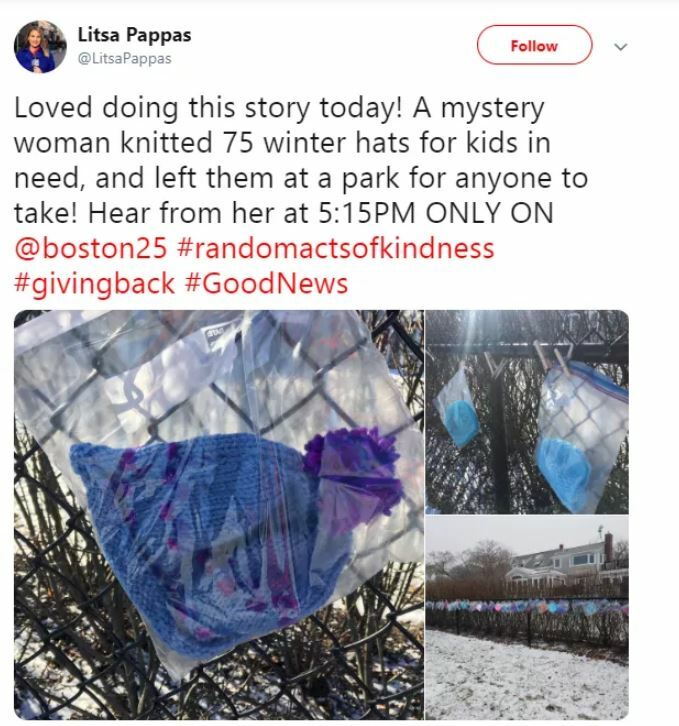 After accomplishing the 75 hats, the anonymous old woman’s daughter gathered them and stored them in airtight plastic bags. 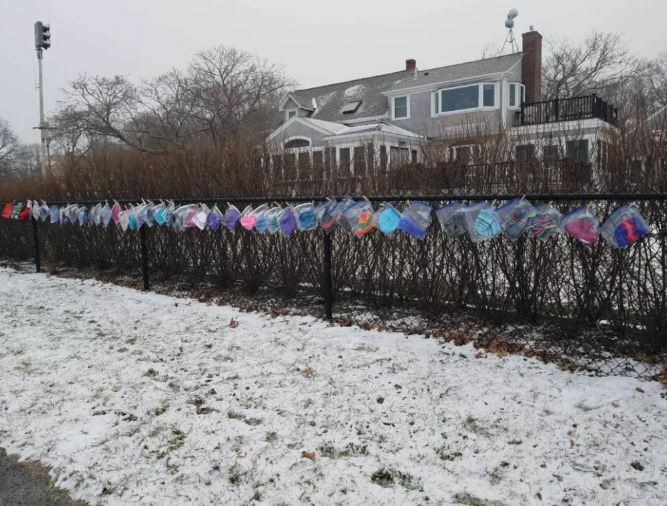 Later on, she took it to Nelson Memorial Park in Plymouth, Massachussetts, and hung it around the fence of the local park for the children to take and keep themselves warm with. After all, there were going to be far more kids in need of hats here than outside their house. The selfless and heroic act of the anonymous woman quickly became viral, and was picked up by several major news outlets. “I like doing them. I think it’s fun.” The anonymous old lady explained why she’s fond of knitting hats for those in need. Even though a lot of people are eager to know the identity of the old lady behind the hats, the compassionate lady would rather keep her privacy. Some would argue that’s the mark of a true hero – someone who does kind things for the sake of it, not for the recognition. Children are not the only ones to benefit from the kind lady’s knitting skills – apparently, she also donates hats to a local homeless shelter. Here’s to you, anonymous lady. People like you truly make the world a better place.